Anne Amie Vineyards respects and protects your privacy. Your Personally Identifiable Information, like your name, address, email address, and transactional information (“PII”), will only be used in the context of your access to www.anneamie.com and to process online orders. 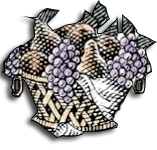 Any email addresses collected will only be used to send occasional news and updates about Anne Amie Vineyards’ products, services, and events. You may contact us at any time by phone 503-864-2991 or email [email protected] to remove yourself from our email lists. Anne Amie Vineyards does not use this information to track or record information about you. Anne Amie Vineyards may contract with third party marketing companies to serve advertisements on our behalf across the Internet. These third party marketing companies may collect non-personal information about your visits to our website and your interaction with our products and services. They may also use non-personal information about your visits to this and other websites to target advertisements for goods and services. These targeted advertisements may appear on other websites that you visit. The anonymous information is collected through the use of technology such as cookies and web beacons, which are industry standard. No PII is collected in this process. Thank you for your interest in Anne Amie Vineyards.